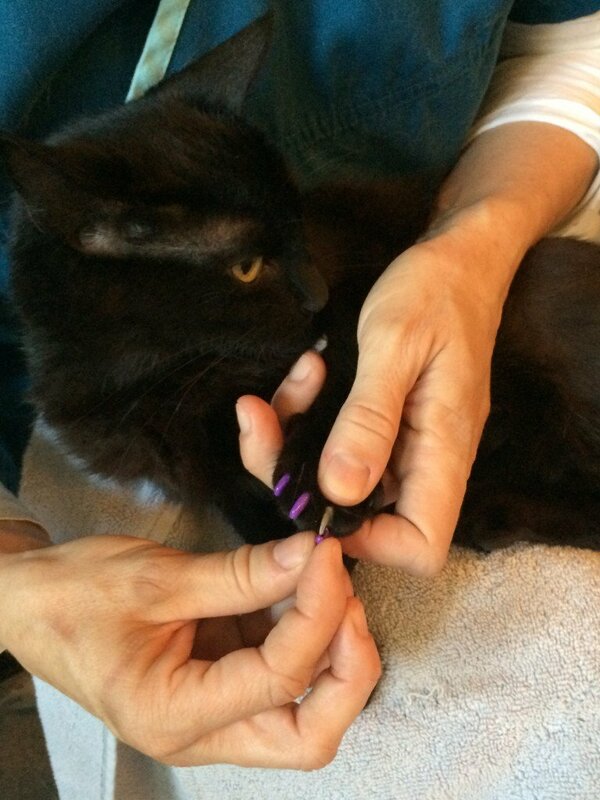 Trimming Cat Claws for Gentle Paws – It Just Takes Practice! 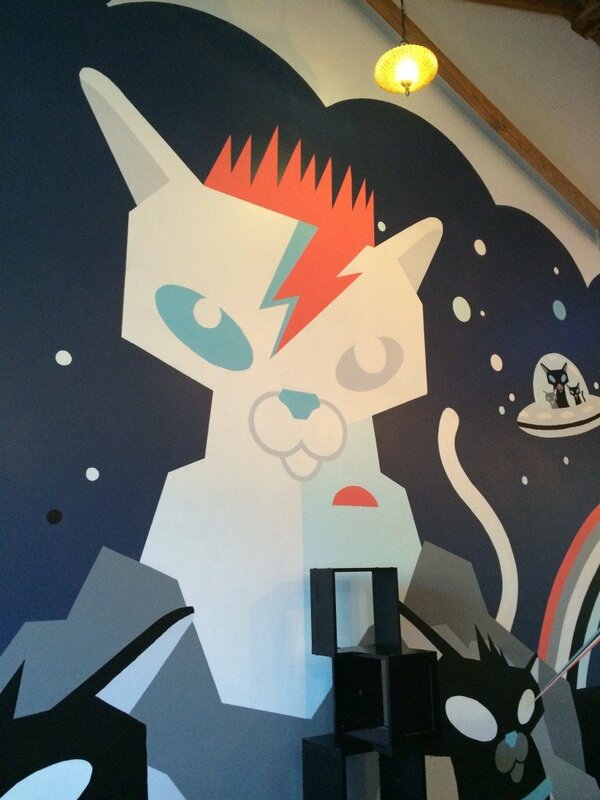 Bowie-Cat mural in Purrington’s Cat Lounge. This place is PAWesome! Are you up to snuff on your cat’s nail-trimming needs? 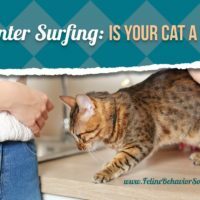 If not, after reading this article, you’ll have the confidence to trim your cat’s claws without fear of retribution from your kitty, because I’m going to share with you some expert advice. Literally, expert advice, since I recently met up with Laura Cochrane, DVM, a.k.a. Dr. Kind Klaws, at Purrington’s Cat Lounge in Portland, Oregon. Purrington’s is a magical place where adoptable cats frolic beneath David Bowie-inspired murals while you sip on coffee or “meowmosas”, basking in delight from their adorable antics. 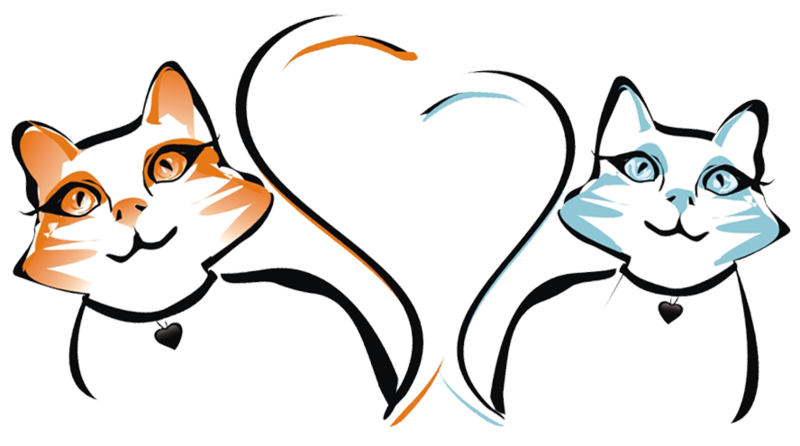 The Cat Adoption Team has partnered with Purrington’s to supply cats to the lounge and at this time over 50 cats have been adopted! Dr. Cochrane was at Purrington’s to demonstrate proper claw-trimming techniques, and also show us how to apply Soft Paws, which I’ll get to in a minute. 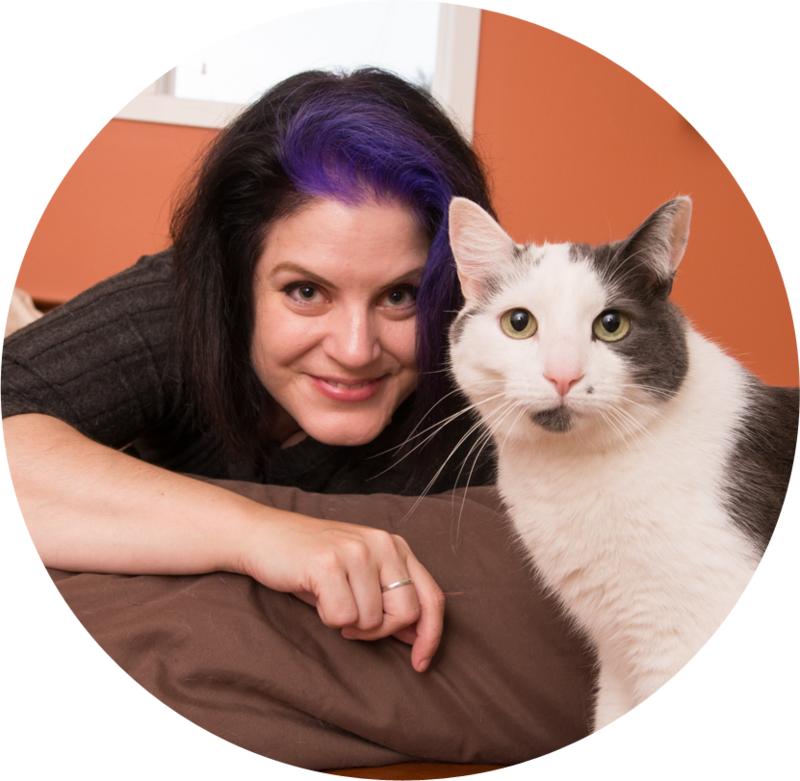 Dr. Cochrane has a traveling practice, where she visits homes and trims cat claws and/or applies Soft Paws for people who want to ensure that their cat’s nails aren’t bothering their pets, or destroying furniture. 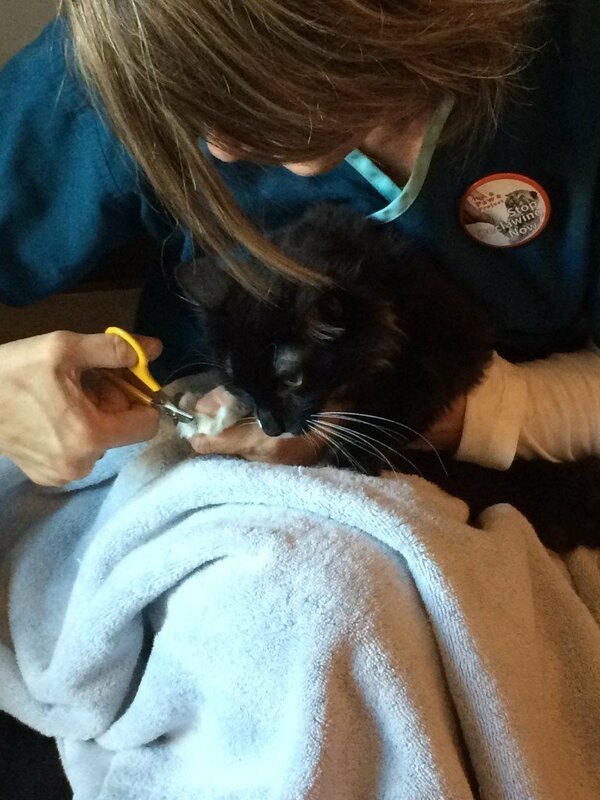 Of her business, Dr. Cochrane said, “I saw a need because people were afraid to trim their cat’s nails, or their cat was difficult, so that’s where I came in, to try to keep things as calm as possible.” And that’s just what Dr. Kind Klaws does – she’s out there trimming cat claws for gentle paws belonging to kitties in the Portland and Vancouver area. 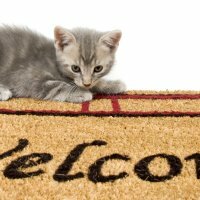 Get your cat used to having her paws handled. If you can do this when she’s a kitten, great! If you have an adult cat, desensitize her to paw-handling by gently touching her legs, then working down to her paws, and finally, her toes. 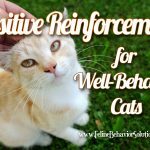 You’ll want to do this regularly, and make it a positive experience – end on a good note (i.e., before she gets grumpy about it), and give her a treat! When it’s time to trim, you’ll need a pair of nail clippers (those $6 trimmers at the pet store are perfect), as well as styptic powder or flour to stop bleeding if you accidentally nick the quick (but don’t worry – you can see this part in the nail so it’s avoidable). A towel or blanket for your kitty to sit on also is a good idea. Important: have a favorite food, treats or a shiny toy ready to distract your cat while you trim her nails! Cats tend to like being closer to the ground, so sit on the floor with the towel on your lap and bring your cat onto the towel. You can lean in towards her, which may help calm her and restrict her movements. For cats that are fidgety or grumpy, try having a partner give her a “scruff massage” by kneading the loose skin on the back of the cat’s neck. With the cat’s paw in your hand, gently press the paw pad so that the claws extend. Clip just the tip of the nail off, with the clippers parallel to the sides of the nail (not on the top and bottom surfaces). From the side, you should be able to see the opaque quick, which you should avoid – cutting into this will result in pain, a little blood (hence the styptic powder), and probably your cat being irritated at you and giving you the stink-eye (or worse). But don’t worry – as I said, the quick is easy to see, and you should be able to avoid it easily, especially if you focus on clipping just the tip of the nail. Make sure you trim the dew-claw, too! 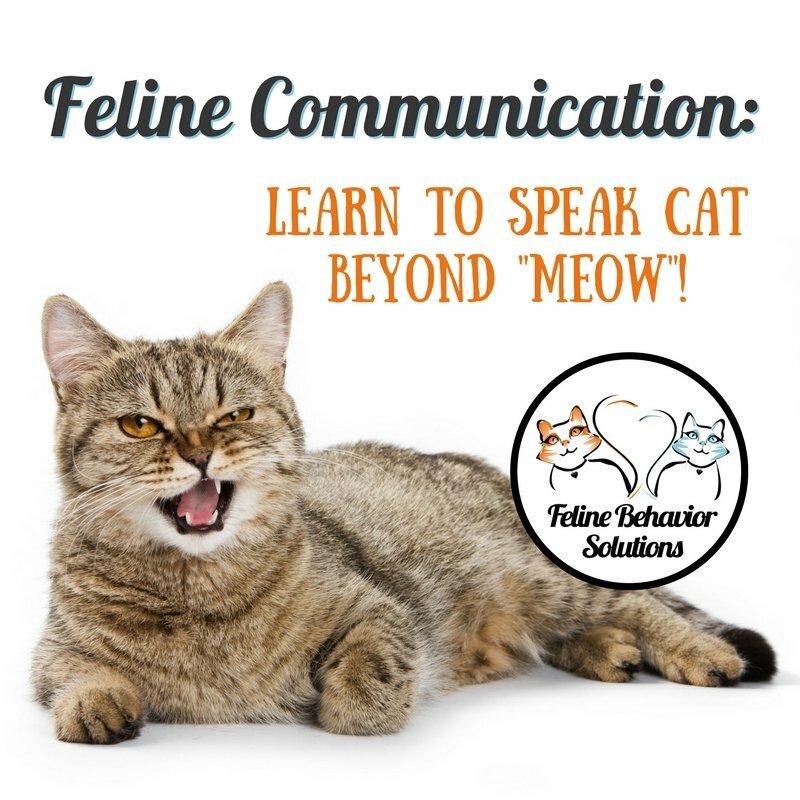 Pay attention to your cat’s body language and vocalizations – she may need a break. That’s ok! Even if you have to finish the next day, you’ve made progress! On average, cats need their claws trimmed every 4-6 weeks, with their back claws needing trimming every other time (they get more use and are worn down a bit more than the front claws). Older cats might need to have their claws trimmed more frequently, since they tend to groom themselves less often. See? 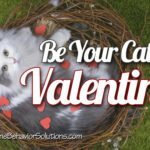 It’s really not that difficult, and both you and your cat made it through the process alive! Dr. Cochrane demonstrates the claw-trimming procedure. Dr. Cochrane really IS Dr. Kind Klaws! See…it’s not so bad! What’s the Deal With These Soft Paws Things Everyone is Talking About? 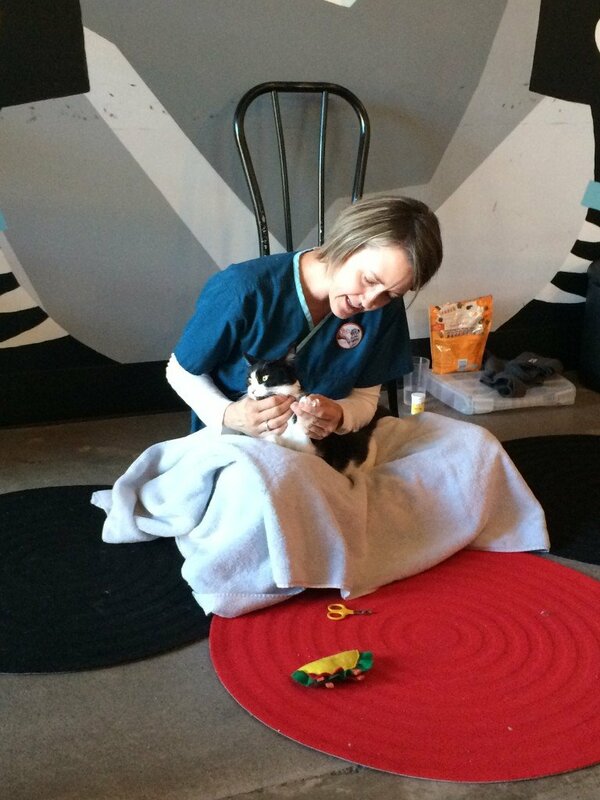 Dr. Cochrane demonstrates how to apply Soft Paws. You’ll still want to trim your cat’s nails, but just the tip, since you’ll need as much nail as possible to which the glue will adhere. 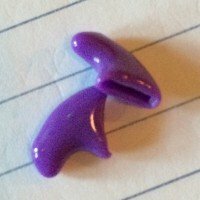 You can pre-load the nail caps with glue. Fill it about 1/3 of the way, and squeeze the nail cap so the glue is distributed along the inside of the cap. Extend your cat’s claw as if you were trimming them, but instead, slip the cap over the claw. Don’t push it on so far as to touch the tissue at the base of the claw. Here’s the hard part – you need to keep your cat from running around for 5 minutes so that the glue can dry. Most people just try to hold them in their laps, but you know your cat best…this might be a good time to reward your cat’s patience with a favorite treat or meal! Nail caps will either fall off, or the cat will pluck them off during paw grooming. Don’t worry – if she accidentally ingests them, they’ll just pass right through. They are not harmful! If the caps last 6 weeks, at that point you’ll want to cut them off and give your cat a few days to groom off the old nail sheath and any remaining glue. Then you can pick a new color of Soft Paws and give your cat another pawdicure! 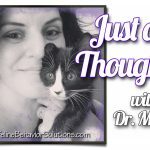 It’s fair to say that Dr. Cochrane does not condone declawing, and vehemently discourages the practice for many reasons. 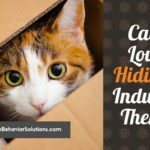 Cats are biologically programmed to scratch things – it’s a natural behavior that allows them to stretch, maintain one of their primary predatory weapons, and leave both visual and scent marks for other cats. 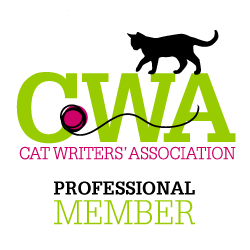 Cats can be trained to scratch what we want them to scratch, and avoid those things that are inappropriate (I’ll be writing a post on that topic too, so you’ll see how to do this in due time!). 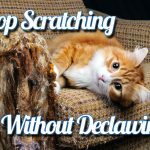 Keeping claws trimmed or capped will help protect your home from scratching, plus it’s MUCH better for cats than declawing. Dr. Cochrane said, “declawing a cat is going to permanently change the way that cat functions physically, and emotionally. It’s going to affect the way they bear their weight…it is amputation of that last bone, and in my opinion, it’s a barbaric and inhumane procedure.” And I completely agree! 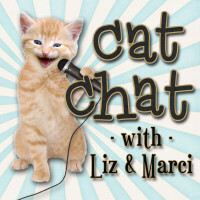 If you want to know more about declawing, you can watch The Paw Project (available on Netflix), or listen to Cat Chat episode 3, where Liz and I talked all about what declawing is, why people do it, and completely viable alternatives. I hope that I’ve provided you with enough information so that you can be confident in trimming cat claws! And if not, please visit Dr. Kind Klaws at her website or on Facebook. 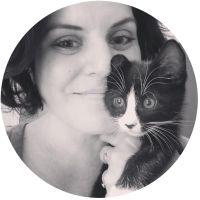 She can come to your home and show you and your cat how it’s done, or if you have a very difficult kitty, she can trim your kitty’s claws on a regular basis. 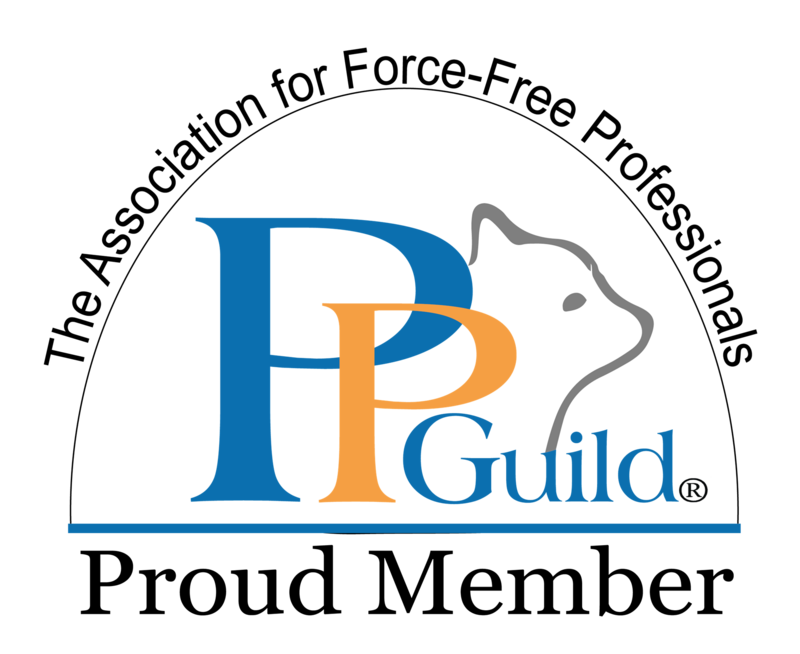 Thank you, Dr. Cochrane, Purrington’s Cat Lounge, and Cat Adoption Team for all the work you do to increase the quality of life for so many cats and their people! 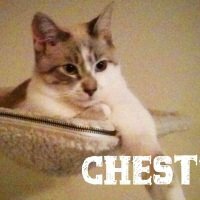 How to Live With Cat AllergiesAre Concerns About Your Cat Medical or Behavioral? I’d like to add one suggestion. My cat will scratch and bite the vet so she’s required to have two people handle her when we visit. This last time it was different. My cat got herself into her favorite fighting position, and the vet calmly took a warm towel out of a dryer and draped it over my cat, completely covering her. She then massaged my cat’s neck until kitty went from hissing to some of the deepest purring I’ve ever heard. The vet was able to hold her and trim her nails after that, as well as give her a shot. The vet told me the warmth, the petting, and especially ‘hiding’ them under the towel to stop all sensory input will calm down the majority of cats. This was the first time I’ve seen it done, and I was impressed.